Few countries have changed in the last few decades as much as China. What used to be a mainly rural, under-developed country is now the world’s largest economy, one who’s cities are growing at a massive rate. Little remains of its not-so-distant past. A group of Reuters photographers have matched up pictures from China in the 1980s and 1990s with the latest photos from the country of today. 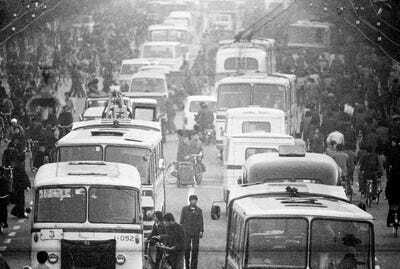 Three decades ago, buses had to fight with pedestrians and cyclists for space on the roads, as in this picture from Beijing in 1984. 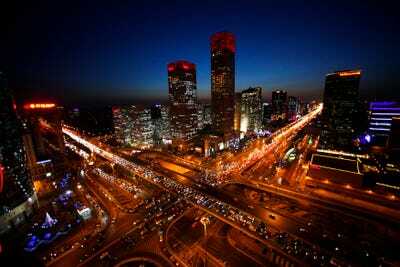 Today, China has some of the busiest and most advanced metropolitan highways systems in the world. 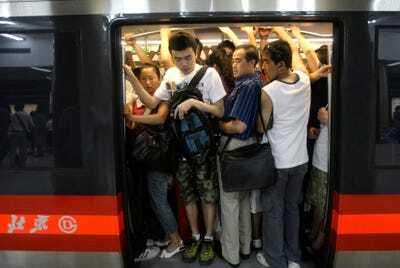 China's cities have long experienced crowded commutes. 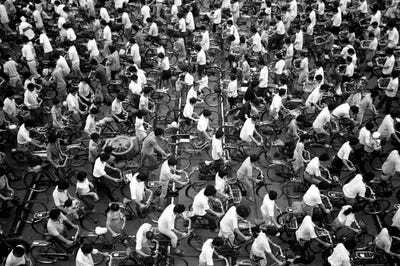 This photo from 1991 shows a Shanghai thoroughfare clogged with bicycle commuters. Now, most commuters use the subway, like this one in Beijing. It's still very crowded, though. 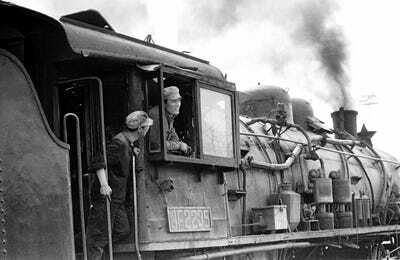 Coal trains were still in use in the capital as late as 1981. Today, China boasts some of the fastest trains in the world, like this new high-speed railway line that runs between Shanghai and Hangzhou. Clothing has changed in many ways, too. 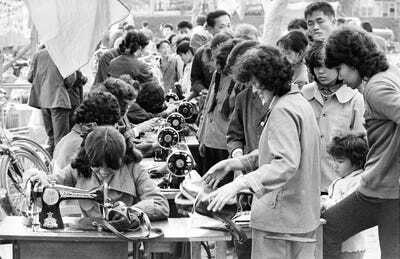 When China was more rural, people would take their clothes to be fixed at open markets like this one in Fujan in 1982. 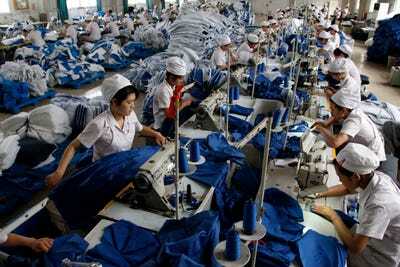 Modern production of clothing in China is far more organised and automated, like in this factory in Huaibei. 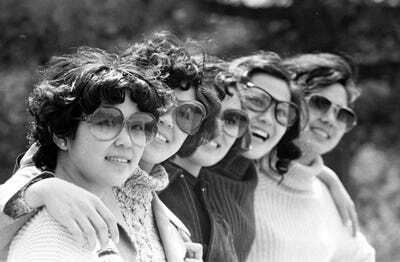 Clothing in general was far more conservative under the strict rule of Mao. Today, clothing customs are more relaxed. 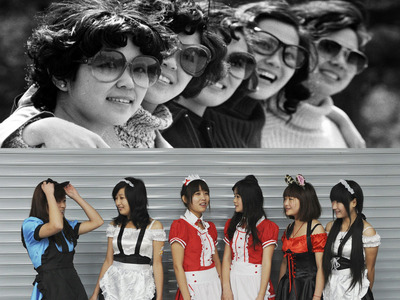 These women, dressed in cosplay costumes, wait to perform at the China Digital Entertainment Carnival in Hefei. 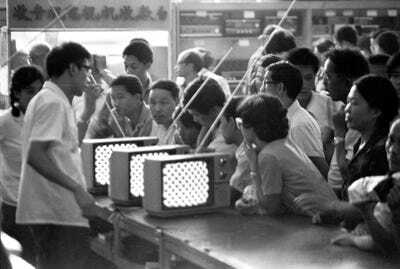 Gone are the days when having a TV, even a black and white one, was a status symbol. 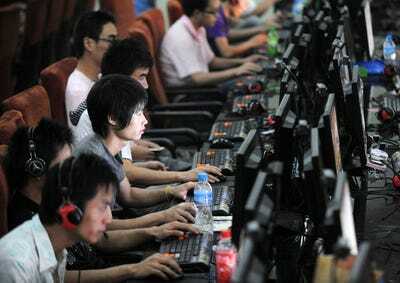 Now, China is steeped in technology, and people crowd internet cafes like this one in the province of Anhui. 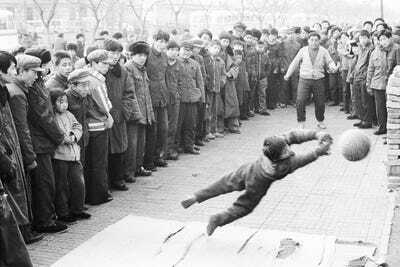 Soccer used to be a curiosity, attracting bystanders who would flock to see demonstrations of the western sport, like this one in Beijing in 1981. 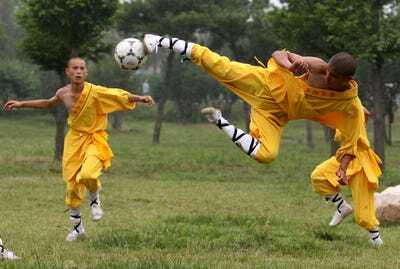 Even Shaolin monks play the game today. 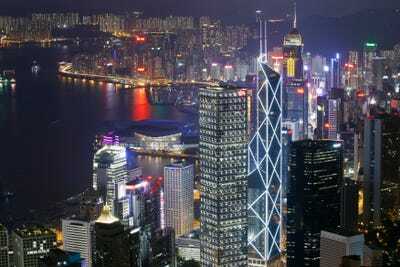 Hong Kong has undergone a particularly dramatic transformation. 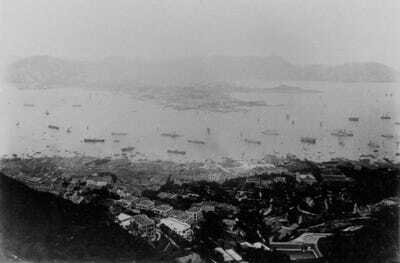 This is how the British colony looked in 1865. And this is the city today. It's a major global financial hub. Some things haven't changed. 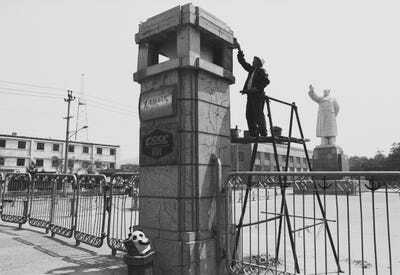 In 1994, Mao Zedong was the dominating figure of the Communist regime. 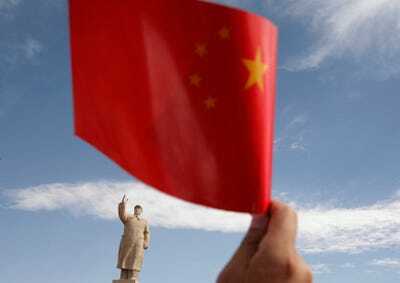 The lasting effects of his cult of personality are still felt today, and the Communist party continues to rule. 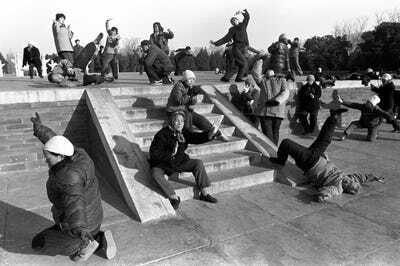 In 1988, Chinese people enjoyed morning exercises in parks like the one seen below. 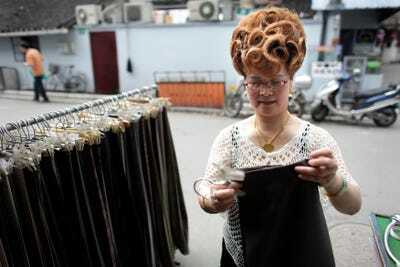 This practice is still wide spread in China, though carried out by the older generations. Many stores in China in the 1980s and 90s were still rudimentary, like this barber shop in Beijing. While retail has evolved in many areas, some spots in China, like this market in Shanghai, still retain that old feeling. 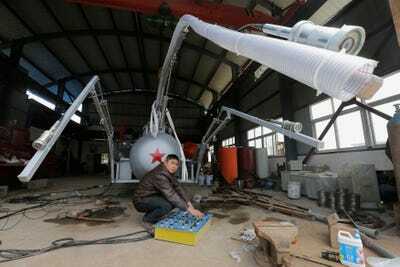 China is a hotbed of innovation.